Our in-house competition team are always on the lookout for talented youngsters. Could that be you? 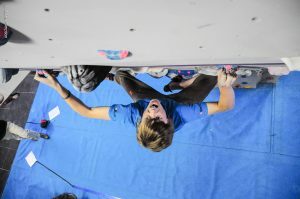 Coached by a team of experienced, qualified coaches & locally re-noun performance climbers, our Youth Squad offers the perfect opportunity to maximise your potential. Team sessions, 1:1 coaching, competition support, training plans and reviews, shop deals, team kit etc all available to those who join our Squad.